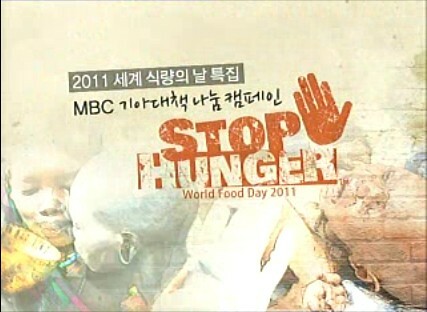 Today Hunger Saver aired a special on MBC to raise money and bring awareness to hungry children all over the world. During the two hour special, they featured stories from four different celebrities who had traveled to four different countries to make a difference: Kenya, India, Ghana, and Peru. 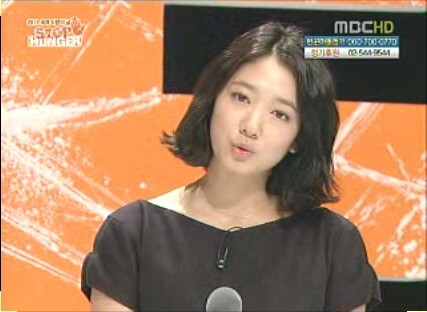 Of these four celebrities, one was Park Shin Hye, who had spent a week in September in Ghana. Her story showed her activities with a little girl named Abana. You can see how close Shin Hye and Abana were. Abana is such a beautiful and shy child. 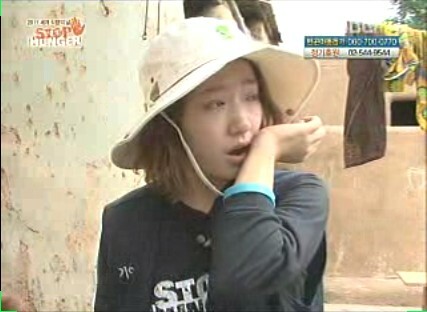 Shin Hye was overwhelmed with tears watching Abana, her situation, and the children. Her tears were heartfelt and touching. It showed how tenderhearted Shin Hye really is. She also visited a little boy named Christian who is sick with malaria. 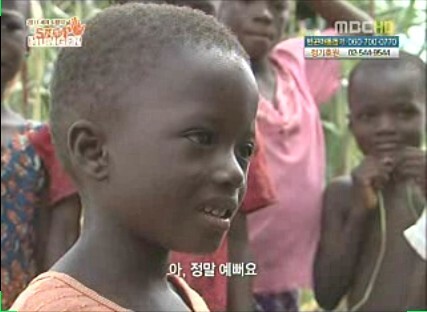 You can see there is so much love in Shin Hye's eyes as she worked with the children of Ghana. 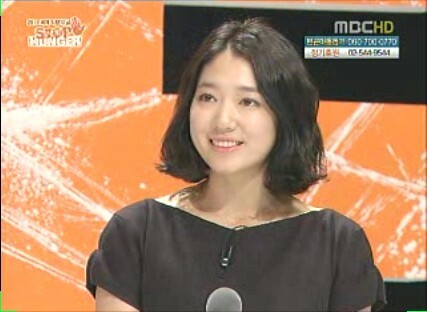 Our lovely Shin Hye has such a wonderful heart and soul. Thank you for making such a difference and inspiring us to do the same! Please support our donation project for Save The Children Foundation and Christmas for Shin Hye. Let's give back what this wonderful girl has been giving to those less fortunate. We would like to thank everyone in advance for their generosity. Sniff sniff I cried again. Shinhye is so wonderful and Abana is such a beautiful little girl. It's so sad to see these children living in such poverty; it's heartbreaking. 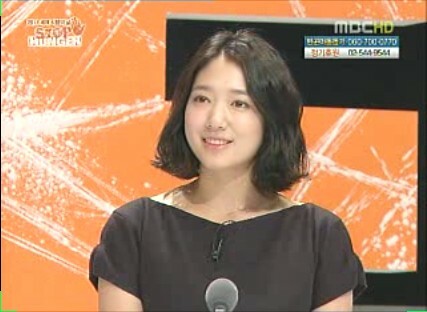 I'm so proud of what shinhye has done and will continue to do. Love her so much. Y___Y you have such a beautiful heart...VID made me cry!! Thanks for sharing.. It made me cry too, and no need for translation to understand whats going on.Wish someday global hunger would end and poverty too. Shows/program like this make me realize how fortunate I am, that I am able to eat a decent meal everyday. People who are consciously dieting only cares about what food to eat and not ...when these children have no other choice but to starve. Spread more love and awareness Shin Hye! PSH, you are such an angel!...love what you were doing on the video. I got teary just by looking at the photos...then I watched the video and I couldn't help it but cried. 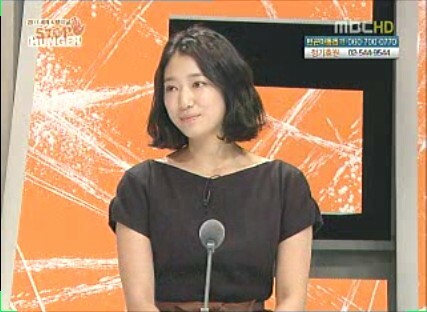 Shin Hye you are beautiful inside out and have a heart of gold. Thank you, PSHIFC for sharing the video. 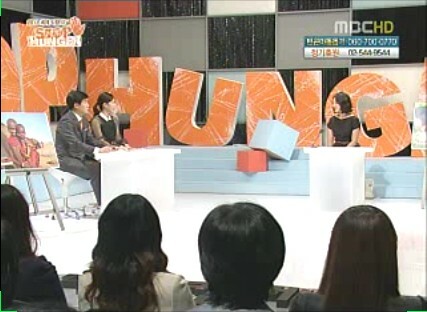 SH has brought about an extra awareness where World Hunger is concerned. creo que ella tambien lo siente... como se sufre en este mundo, pero tratamos de sonreir cada dia. es una experiencia vivida en alma aunque nos da mucha tristeza podemos ayudar con una sola moneda poco a poco todo se hace grande y se logra. 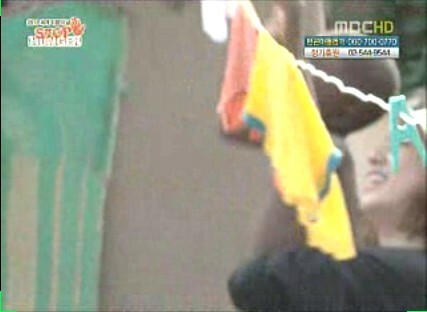 I adore unni for caring other people especially for the poor ones. Fighting unni!!!! Yes Like a guardian angel who should do his duty and of a specific task, in particular.